Driving lessons in Norbury can be a little stressful with the amount of traffic passing through. Luckily our friendly, experienced and local driving instructors have great local knowledge of Norbury so will take all that stress away. If you are a complete beginner driver your driving instructor will take you to one of the wide quiet roads to start your moving off and stopping lessons. Here you will be able to learn and develop your driving skills without the pressure of other road users getting in your way. 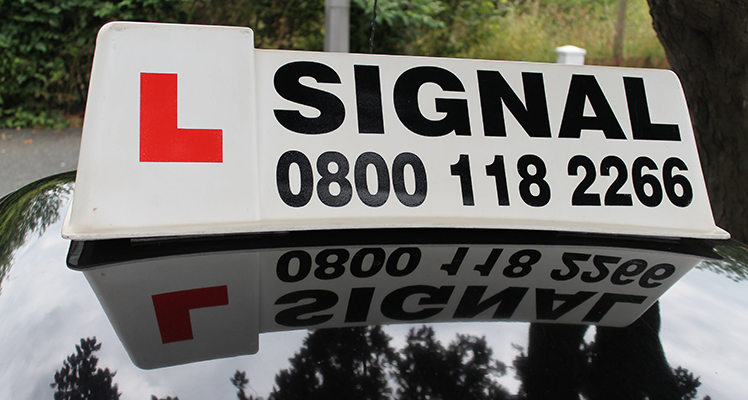 Once you have gained a good basic level of controlling the car and a good understanding of the routines needed whilst learning to driving like MSM(Mirror, Signal, Manoeuvre) your driving instructor will be able to structure your driving lesson plans to suit your individual needs. During your driving lessons in Norbury one of the lesson plans that you will learn will be pedestrian crossings. Here your Signal Driving Instructor in Norbury will teach you how to recognise the different types of pedestrian crossing from uncontrolled zebra to controlled crossings like pelican, the rules on approaching and what to do whilst waiting. There are many routes that our driving schools instructors can take you on to practise your skills. Driving along Green Lane heading towards London Road, through Norbury High Street is a good example, as there will usually be some pedestrians around to test you and help build up your driving confidence. Having driving lessons in Norbury with the busy traffic flowing around you, will really help you to gain vital driving experience and the driving skills needed for a life time of safe driving. On your driving lessons your driving instructor will be able to guide you to confidently negotiate all types of junctions and roundabouts like the nearby Thornton Heath Pond. This roundabout will really test your skills of anticipation, planning ahead and good lane discipline. With Norbury having a large number of residential roads such as Dalmeny Avenue, our driving schools driving instructors have plenty of opportunities to teach you all your reversing skills needed to not only help you pass your practical driving test but for everyday life when you have passed, usually first time. All our Driving Instructors in Norbury are CRB checked and registered with the DSA (Driving Standards Agency).